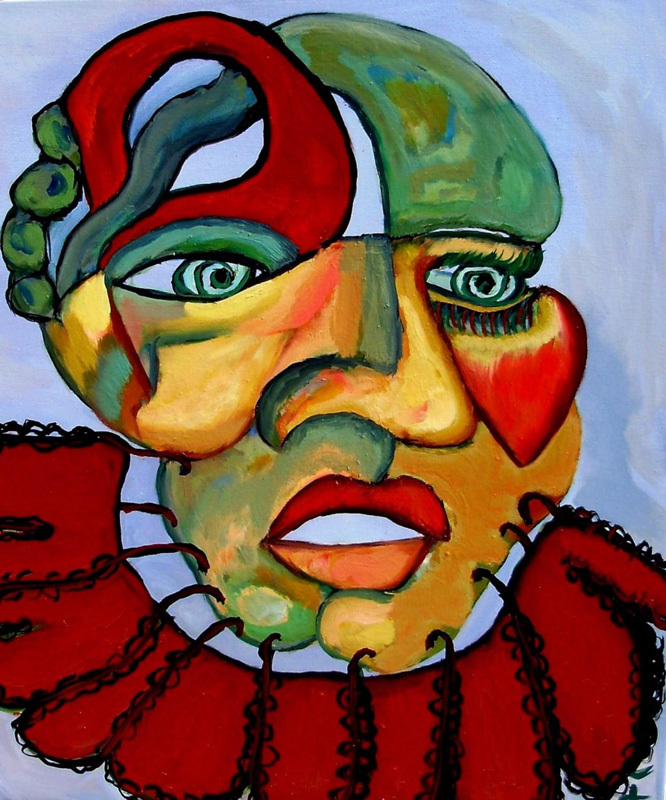 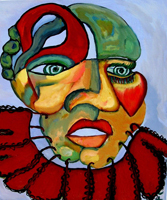 1.Mask of a Clown, 2009 oil on canvas 50x70 cm. 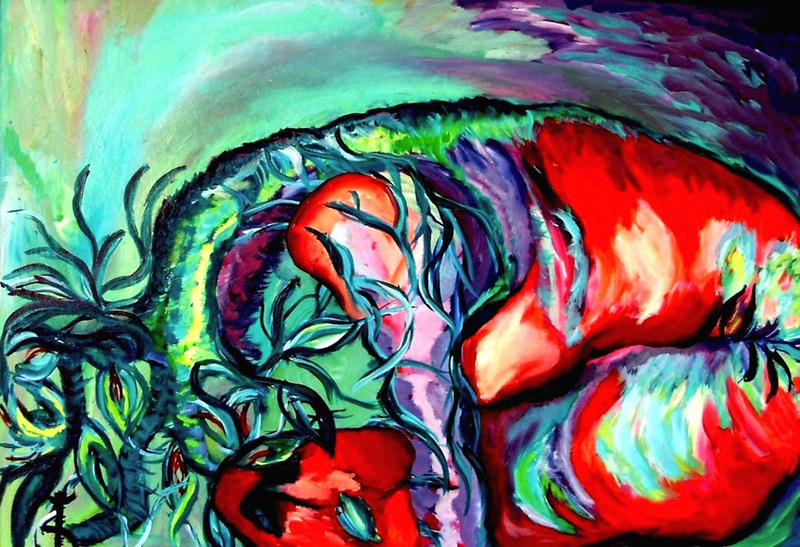 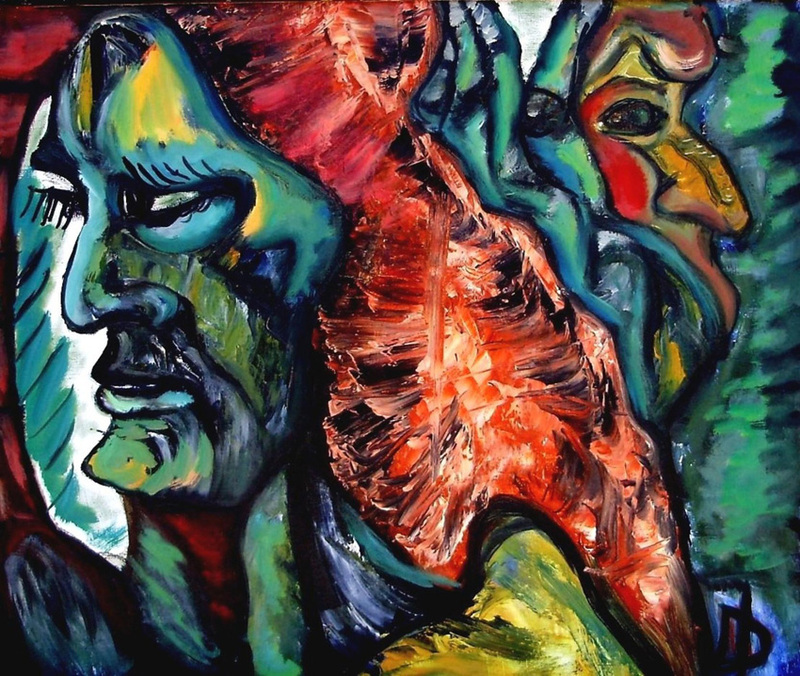 2.Metamorphosis, 2010 oil on canvas 130x80 cm. 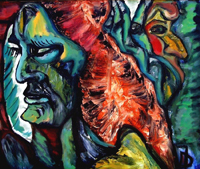 3.Between Walls, 2009 oil on canvas 50x70 cm. 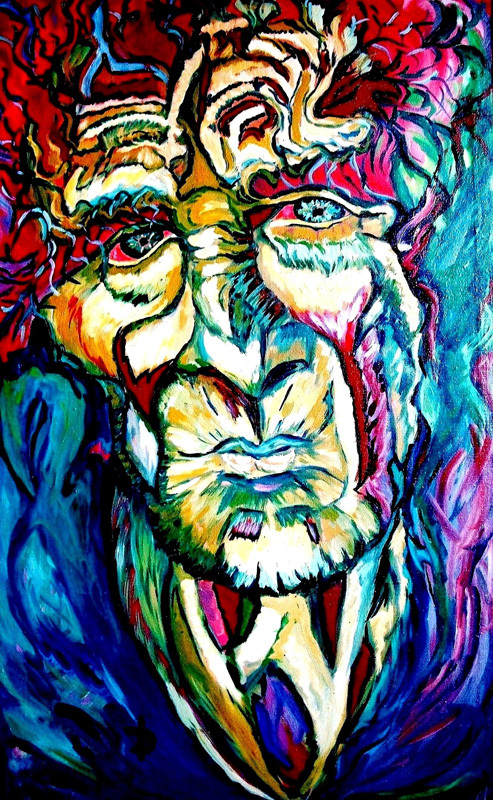 4.Mysterious Old Man, 2009 oil on canvas 120x70 cm.